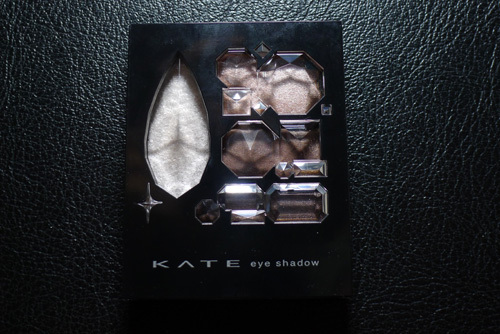 Today I'm going to do a review on some Kate eyeshadows. 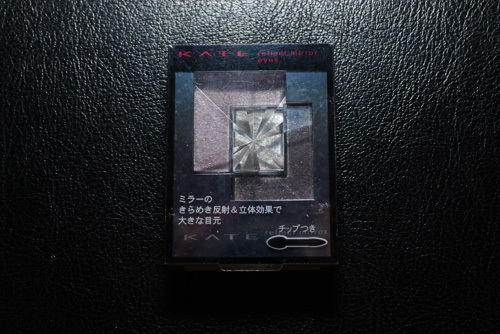 For those of you who don't know the brand "Kate", it's a popular Japanese drugstore brand. 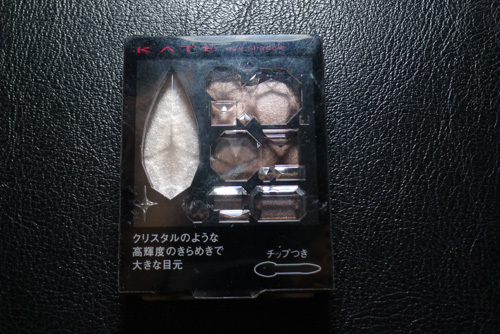 While I was in Japan I bought some Kate eyeshadows, didn't buy many because they are quite pricey (for drugstore brands). 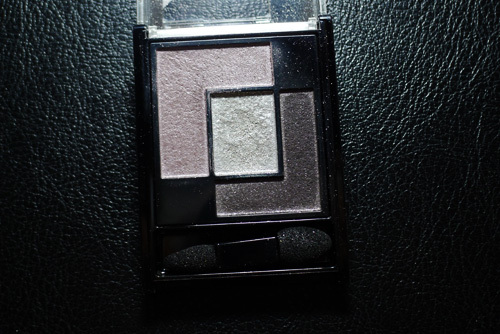 I really love this eyeshadow palette and use it a lot. 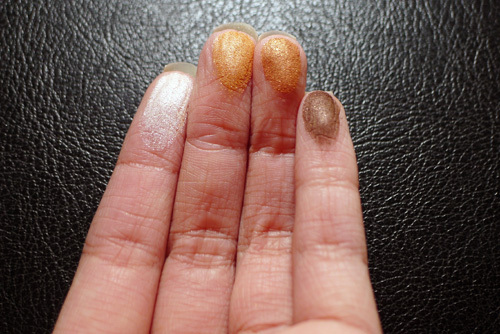 The colours as you can see in the photos are really pigmented. 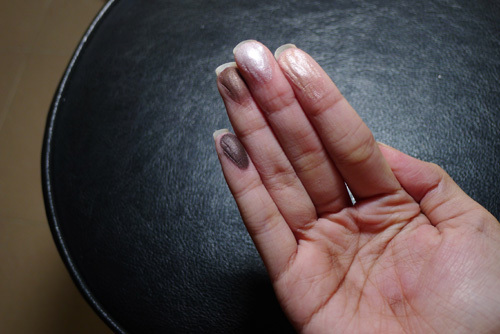 The brush it comes with is really soft also, however I don't really use the brushes much. 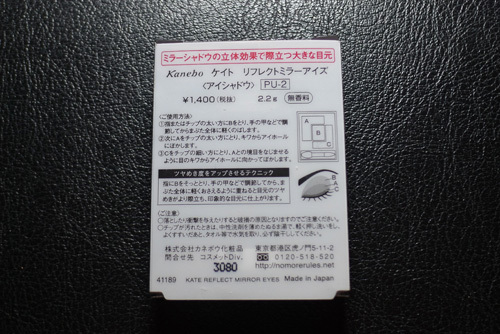 I lost the packaging for this item since I was using this quite a bit while in Japan and probably threw the packaging out. 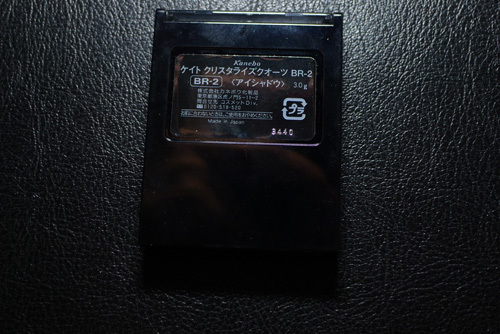 This item was around 1000yen I think which is about $13. 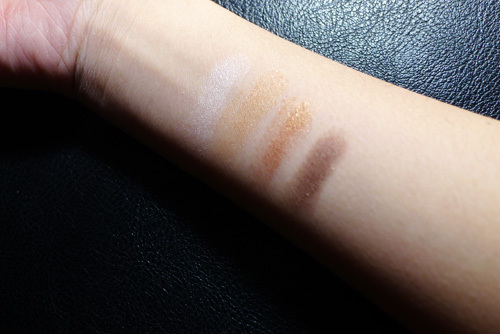 I really love this palette, really easy to use and you can do subtle smokey eye looks with it. 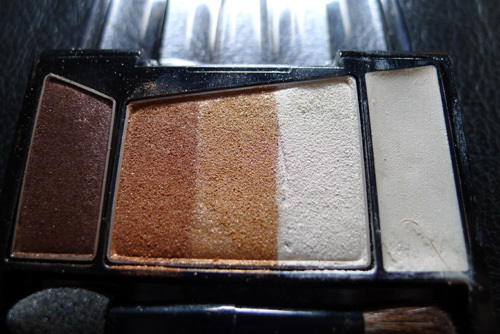 They have this palette in different colours but I found this is the only one that I can use daily because of the neutral tones. I absolutely LOVE this palette! 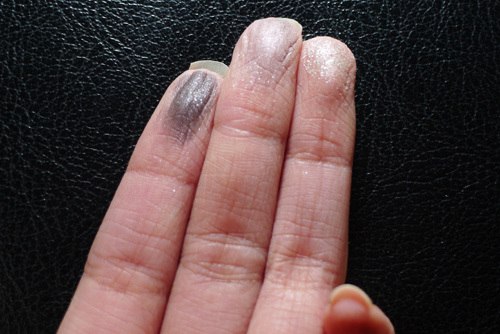 The colours aren't very pigmented but the eyeshaows are so shiny that it's probably better that way. 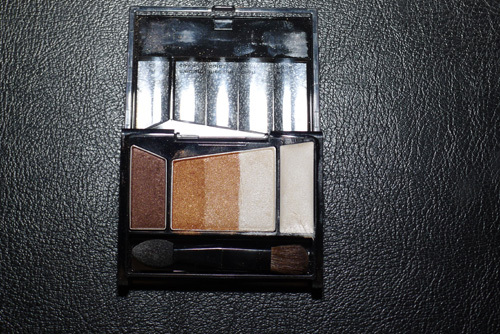 When you apply the eyeshadows with this palette, it gives the kind of "wet eyeshadow" look (not really sure how to explain it). 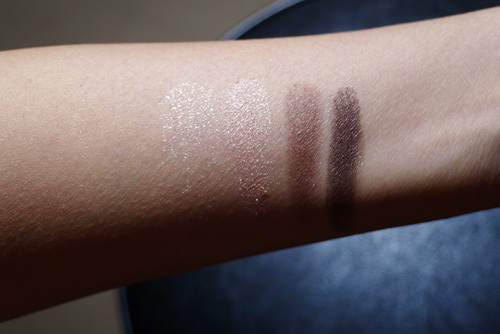 The shimmers are REALLY pretty in this palette. Would definitely recommend it! I don't actually know what this is called, on the packaging it says "Crystal you na" and I don't really know what it means. 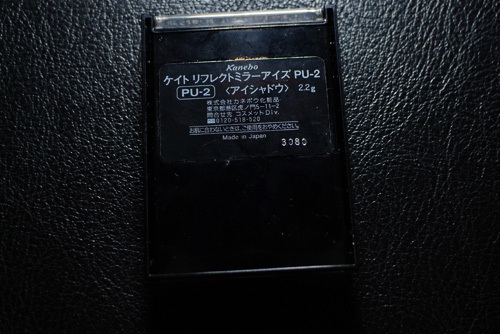 But anyway, when I was in Japan this palette was just released so it is relatively new. To be honest, I don't like this palette much. 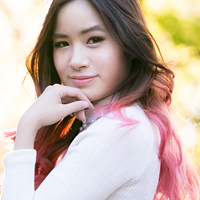 The white eyeshadow isn't pigmented at all so I find it hard to work with. 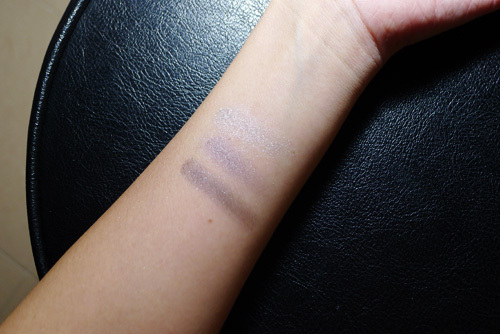 The other colours aren't bad, but for the price, I would say go for the other 2 palettes I posted just above. I think they're cheaper and better quality. 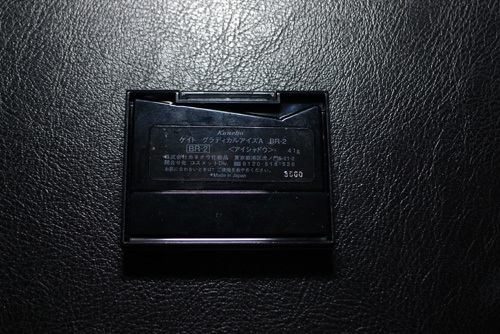 This is 1600yen which is around $20 which is quite expensive I think. 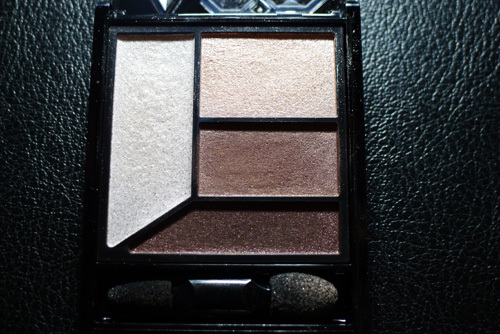 However, the packaging is super cute, just wish the eyeshadows were a bit more pigmented. 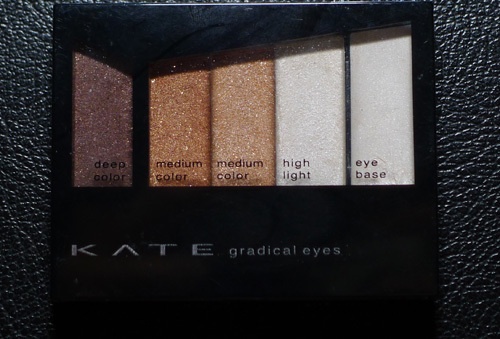 So yeah, that's it for my KATE eyeshadow palette reviews! Hope it helped you guys if you're interested in buying these items! 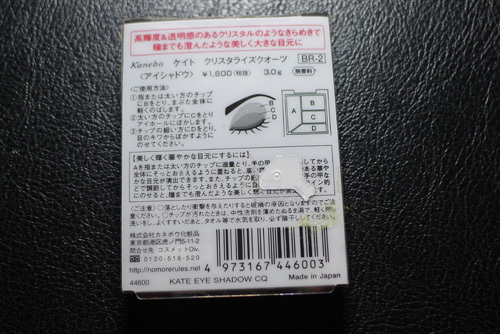 On the Spring 2011 Eyeshadow, it actually means "Gives you big eyes like a shiny crystal"
Hi Kim. 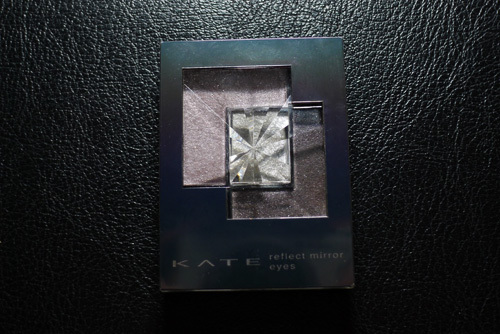 Where did you get the Kate products from?